Seeker & Servant are an alternative Christian band from Mississippi USA, made up of brothers Cameron and Chandler Wood, and friend Kody Gautier. Although forming little over a year ago, they’ve just released their debut album Into Your Love, I Go which is full of cinematic landscapes, lush melodies and anthemic builds that wouldn’t sound out of place on an Arcade Fire record. But best of all, the record finds its roots in the truth of Scripture. The album opens with a reworking of the modern hymn How Deep the Father’s Love For Us. Using massive reverb on Cameron’s vocals and a repeated arpeggio, the song builds and builds into this raucously loud but beautiful consuming sound. Other highlights include Let Me Not. It’s a song that admits and expresses our need for God, especially in the times when we wander from him: ‘Why has my heart grown hard? Soften it, soften it.’. Musically that song soars via a long build and emotional harmonies – and just when you think the song might be over, Seeker & Servant punch you in the face with a bold finish. Meditate (Psalm 1) is a short-but-sweet instrumental breakdown (try to not dance when the drums kick in); In Awe benefits from gang heys and woahs and joyfully acknowledge the supremacy of Jesus; and the title track closes the record brilliantly with a marching drum build and drop that would nicely fit a closing moment of a film, at sunrise. One of the standout features of Seeker & Servant’s songwriting is the way they use repetition. Whether it be a hammered piano note, pounding drum patterns, or even programmed whistling, Seeker & Servant manage to craft stirring sounds to aid a build (and often, then a drop) rather than becoming annoying, cliche or distracting. It’s very clever songwriting. “When we started writing the record, we knew we had a general theme. And we came up with the title for this when we started writing the song, Into Your Love, I Go. And as the record began to develop we began to see a journey the record kinda took on. One is starting with the first few tracks – just experiencing God’s love; and then when you hit Let Me Not and Meditate, it’s almost like meditating or studying God’s love; and then the last part of the record is being joyous in it and fully experiencing God’s love. This album is quite a triumph for a debut, and I’m looking forward to seeing what soundscapes Seeker & Servant will transport us to into the future. I’m giving Into Your Love, I Go, three-and-a-half out of five stars. Read the full transcript of my interview with Cameron Wood here. 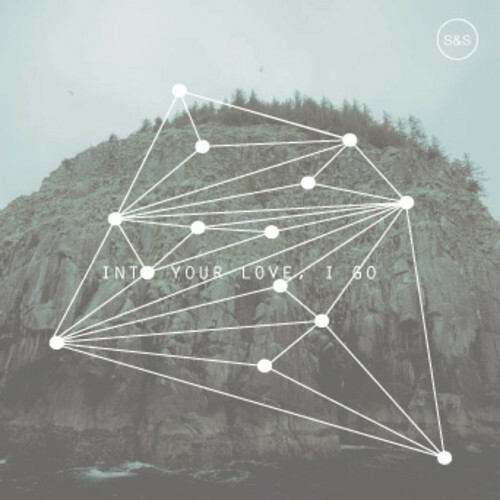 Into Your Love, I Go by Seeker & Servant is available now digitally on iTunes and physical copies can be ordered here. Posted in MusicTagged Album, Album Review, Cameron Wood, christian, In Awe, Into Your Love I Go, Mississippi, Seeker & ServantBookmark the permalink.